Gallery hours for A Tunnel Year: Monday – Sunday, 12-5, Friday 12-8. This will be Tim's second appearance at the Workshop. 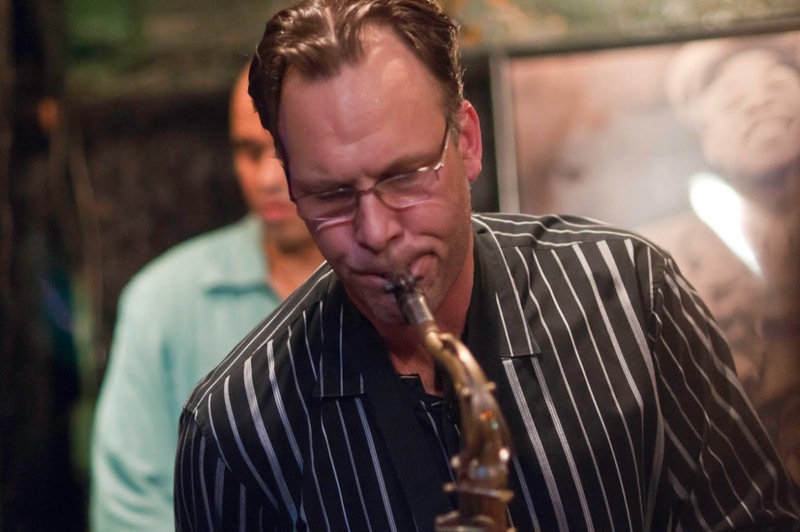 Here's an excerpt from his bio: After a life of travel and discovery on three continents, Grammy nominated saxophonist Tim Armacost has established himself as one of the most important improvisers on the New York scene today. Armacost was born in Los Angeles, but came of age as a musician in Tokyo, New Delhi and Amsterdam, where he burnished his reputation as an upcoming talent, with a big tenor sound and an impeccable rhythmic sense. He tours regularly around the world both as a sideman and a leader. 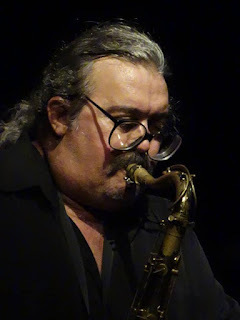 Armacost has worked with a phenomenal number of jazz greats, including Al Foster, Jimmy Cobb, Kenny Barron, Tom Harrell, Billy Hart, Victor Lewis, Jeff “Tain” Watts, Peter Erskine, Ray Drummond, Roy Hargrove, Don Friedman and Randy Brecker. The Northampton Mayor’s Youth Commission calls for lowering the voting age to 16 for all municipal elections. The NMYC, along with at Large City Councilor William Dwight, is sponsoring a resolution calling on the Northampton City Council to petition the Massachusetts Legislature to allow sixteen and seventeen-year-old citizens to join the ranks of enfranchised voters for all municipal elections. 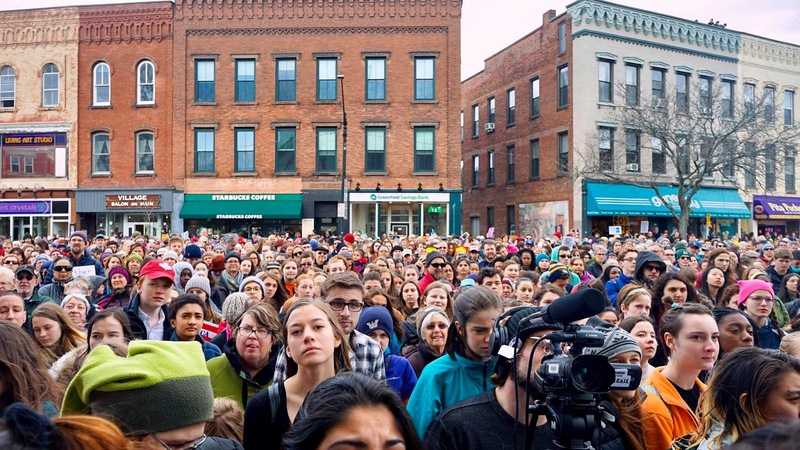 This action comes at a time when youth engagement in critical issues is rising and voter participation is declining. 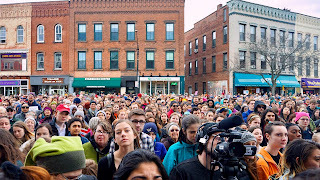 The local March for Our Lives demonstration on March 24th illustrated the desire of younger people to participate in our democracy and to have a say in how they are governed. “In order to have a voice and be represented by our government and to make the necessary changes in our community, access to voting is essential so that the youth can be a part of bettering the community and country.” Schocket-Greene added, “I believe this could greatly improve both levels of voter turnout and political engagement"
Currently there are no communities in the Commonwealth that have been granted this authority although there are several towns and cities that are pursuing the right to lower their minimum voting age. Should the Legislature accept the petition the measure would likely be referred back to the citizens of Northampton as a ballot question. The resolution will be on the agenda for the City Council meeting of April 19th at which time the Council may vote to approve the resolution in first reading or refer it to committee for further discussion. WHEN: Northampton Community Arts Trust 33 Hawley Street Northampton, MA. 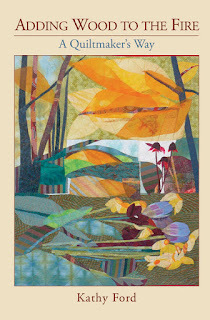 Join Kathy Ford in the downstairs studio for a special Arts Night Out featuring a quilt display and live music beginning at 5 pm, followed by a reading and book signing at 7 pm.Kathy will share excerpts from her recently published book, Adding Wood to the Fire, A Quiltmaker’s Way, with candid writing and over sixty pages of rich color illustrations. WHERE: Eastworks Building, 116 Pleasant Street Easthampton, MA. Übeer Fest, western Massachusetts’s most diverse and eclectic beer festival, returns to the Eastworks Building in Easthampton on Saturday, April 28th from 4-7 pm. Übeer Fest is presented by the Valley Beer Trail and Provisions Northampton. Übeer Fest focuses on quality local, regional and global brews. In addition to the 12 western Mass breweries at Übeer, local importer Shelton Brothers will bring a selection of some of the global brews they’re famous for, like experimental brewery Mikkeller, and legendary lambic makers from Europe. “Übeer Fest offers guests the opportunity to taste incredible beer not easily found outside of a few select stores and pubs, plus the latest, freshest offerings from the amazing western Mass brewing scene,” says Lattanzi. Two food trucks will attend Übeer. Murphy’s Mobile, the food truck of Murphy’s Pub in Agawam, offers hearty pub food. Sun Kim Bop brings creative Korean fusion tacos and more. Advance tickets are available right now for $35 ($45 at the door) at www.valleybeertrail.com. Übeer Fest is presented by Valley Beer Trail and Provisions Northampton, with support from Atkins Farms Country Market, Country Hyundai, Country Nissan and Northampton Volkswagen. Editor, author, and scholar Anita Silvey will deliver the annual Barbara Elleman Research Library (BERL) Lecture on Saturday, April 28th at 2:00pm at The Eric Carle Museum of Picture Book Art. The BERL Lecture is an annual event featuring the country's preeminent scholars, book collectors, researchers, editors, authors, and illustrators in the field of children's literature. Anita Silvey's lecture Celebrating the Caldecott: The Stories Behind Some of the Great Caldecott Medal and Honor Books takes a look "behind the curtain" as she reveals insights into the publishing and promotion of these Caldecott treasures. 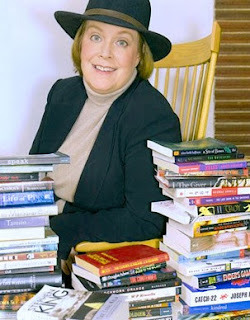 Silvey will draw from her 40 years of experience in publishing and evaluating children's books, including her work as publisher of children's books at Houghton Mifflin Harcourt Company (formerly Houghton Mifflin) and as editor of The Horn Book magazine. The lecture is free with museum admission and a reception and book signing will follow. At noon, prior to the lecture, educators, librarians, and caregivers are invited to participate in Sharing Caldecott Medal Books, an informal discussion sharing their experiences introducing Caldecott Medal books to children. 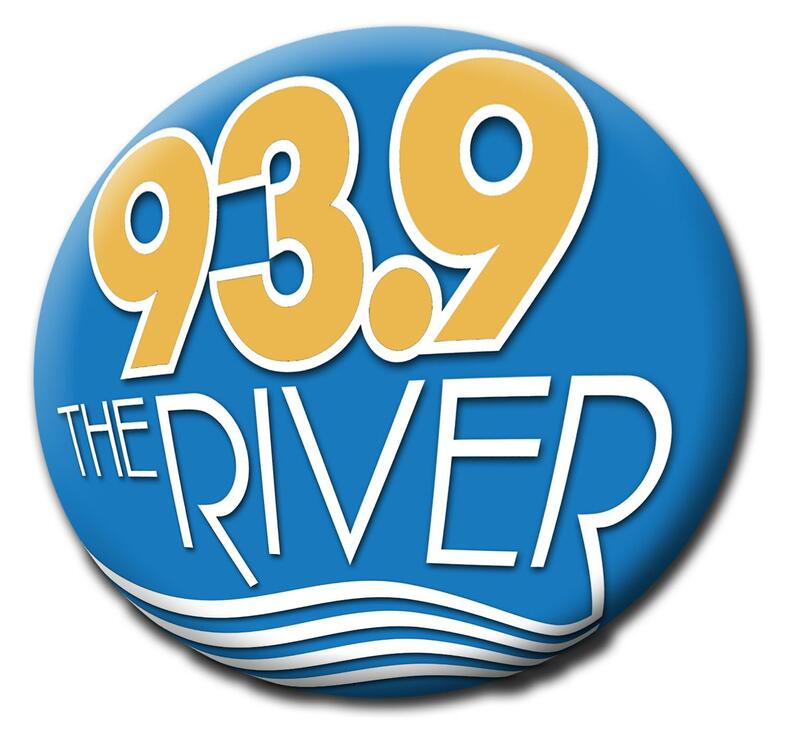 This program will be given by Susan Schiller and Barbara Weber, volunteers in The Carle's Reading Library, and Susan Wells, school librarian at Wildwood Elementary in Amherst. Reservations are required for the noon discussion; visit www.carlemuseum.org for more information. Guests will also have time to explore The Carle's special exhibition, Eighty Years of Caldecott Books, co-curated by Barbara Elleman and Chief Curator Ellen Keiter. The exhibition celebrates artistic achievement in picture books, presenting a chronological display of the winning Caldecott titles from 1938 to the present. This self-guided, free studio tour winds along the beautiful back roads and scenic historic towns of the so-called Asparagus Valley, a local name for the upper Connecticut River valley of western Massachusetts. 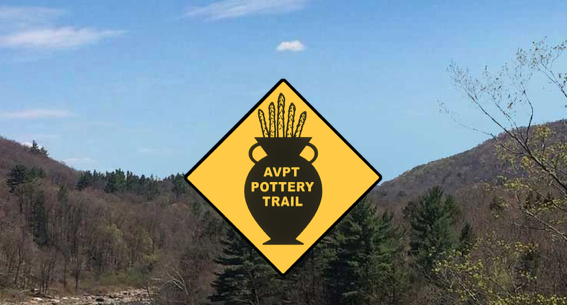 The Pottery Trail celebrates the rich agricultural history and cultural vitality of the area, as well as the longstanding connections between pottery and food. Just as the asparagus is coming up - we invite you to visit 23 potters at 9 studios for our 14th annual studio tour this spring! After Hours Party & BBQ at Snow Farm, Saturday, April 28 with food from Local Burgy and "Pottery Trail Ale" from Lefty's Brewery. Pottery demonstrations, kiln opening, and live music. Come celebrate community and clay with all the artists. Songwriter Mikey Sweet, in partnership with Signature Sounds presents and the Northampton Arts Council, invites you to “On Ramp: Songwriters in the Round” Friday April 13, 2018 at 7:30 pm at the Parlor Room on Masonic Street in Downtown Northampton. Will you join us on the recovery road? 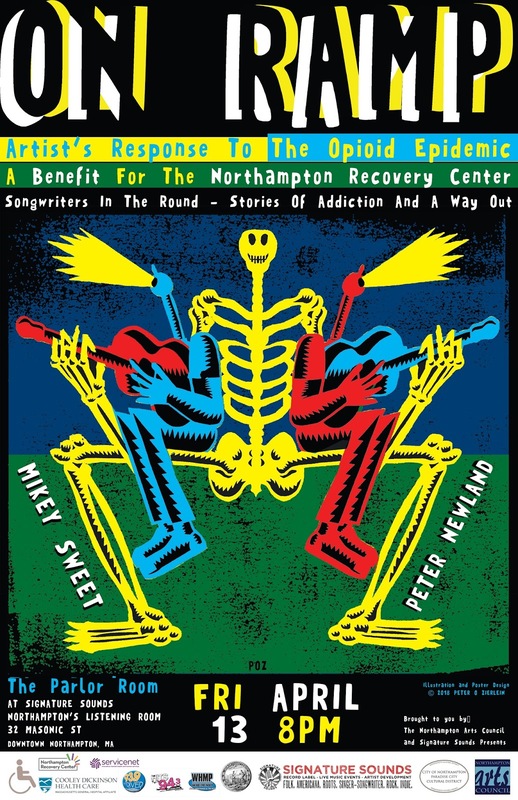 Through an evening of song and narrative, Mikey Sweet and Peter Newland together on stage will explore their own experiences with addiction and their travails on the road to recovery. Harnessing the voice of Northampton’s artist community, On Ramp: Songwriters in the Round aims to put a spotlight on the opioid crisis, which has impacted the lives of so many of our family, friends, and neighbors. Proceeds from the show will benefit the Northampton Recovery Center, a safe, peer-driven community that provides a positive welcoming environment for people on all pathways and in all stages of recovery from addiction, as well as for their families and allies. We hope to see you at this impactful community event, more information and tickets can be found at Signature Sounds presents, https://www.signaturesoundspresents.com. This month the Northampton Arts Council was pleased to grant two BJ Goodwin Memorial Fund Awards to local artists: Serious Play Theatre Ensemble of Northampton for their Edinburgh Fringe Performance Exchange and Max Wareham of Northampton for the opportunity to travel to the United Kingdom and study at the world-class folk arts center The Cecil Sharp House. 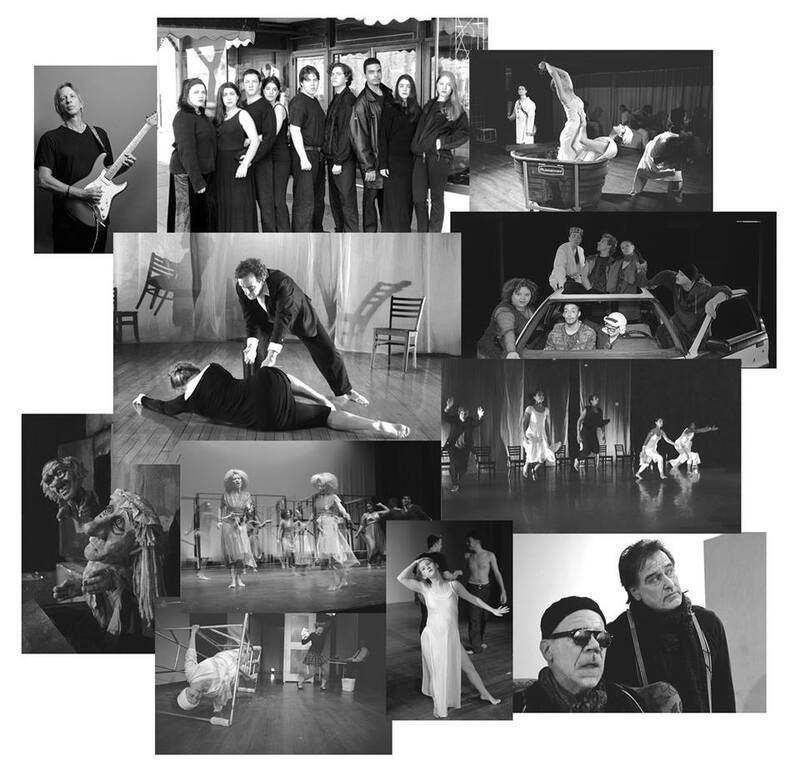 The Board of Directors of the Northampton Arts Council, Inc, on the recommendation of the BJ Goodwin Memorial Fund committee, voted to award Serious Play Theatre Ensemble, $1,000 and Max Wareham, $750 in support of these invaluable opportunities. About Serious Play Theatre Ensemble: For the SERIOUS PLAY! THEATRE ENSEMBLE theatre is a potent art form. We work collaboratively to seek the truth in each dramatic moment by creating a physical form of expression that engages audiences in a fresh new way, as a true theatrical celebration! We challenge ourselves to explore our individual histories, creativity and voices and to fuse our experiences into powerful theatre with strong contemporary messages through “total physical expressiveness on stage.” We hope to revitalize American theatre and attract audiences back to the magic of the live moment. Created in 2003 after BJ Goodwin’s passing, this fund has provided support for valley based artists to travel, exhibit, learn and perform all over the world. Since 2004 artists have travelled to Austria, Israel, Scotland and Sweden to perform theatrical and dance works, record music and exhibit installations in galleries. The BJ Goodwin fund has supported touring musicians including And The Kids, Sun Parade and Boy Harsher in their travels across the United States. Closer to home the fund has provided assistance for the 2008 Storefront Art project using empty storefronts for artist space. 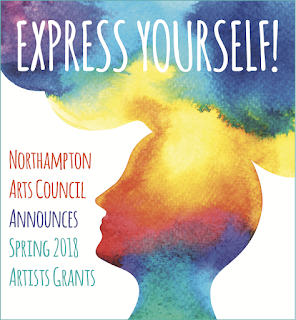 For over a decade the BJ Goodwin Fund has provided artists with the support necessary to bring their work out in the world and helps provide affirmation and recognition for both them and the Northampton arts community they call home. This memorial fund is very unique and should not be thought to replace funding that can be found in the traditional ARTSEZ spring and MCC/LCC fall grant rounds to artists and arts organizations. 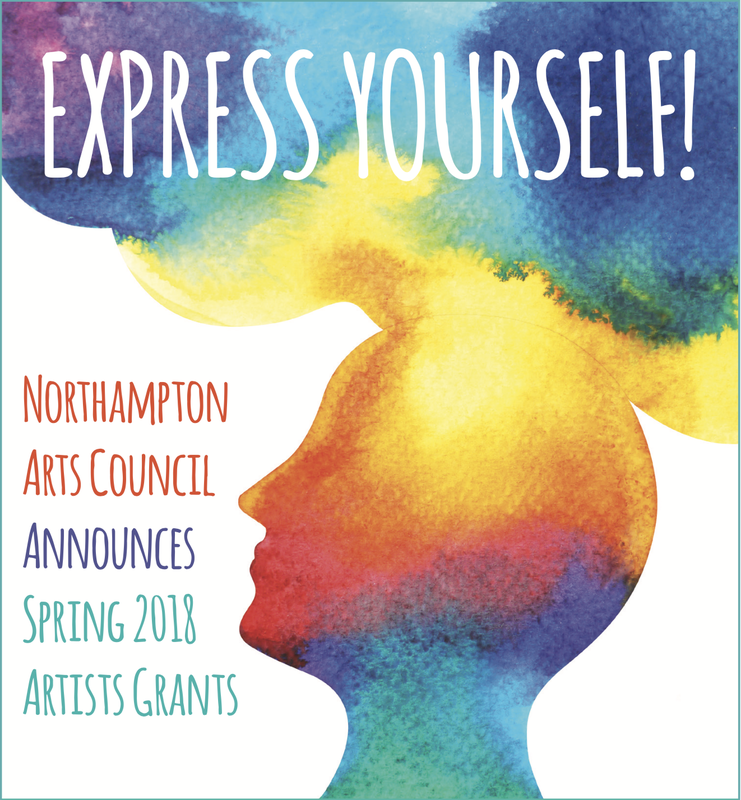 The Northampton Arts Council, Inc. always accepts donations from the community towards the continued building of this endowed fund. All donations are 100% tax-deductible. 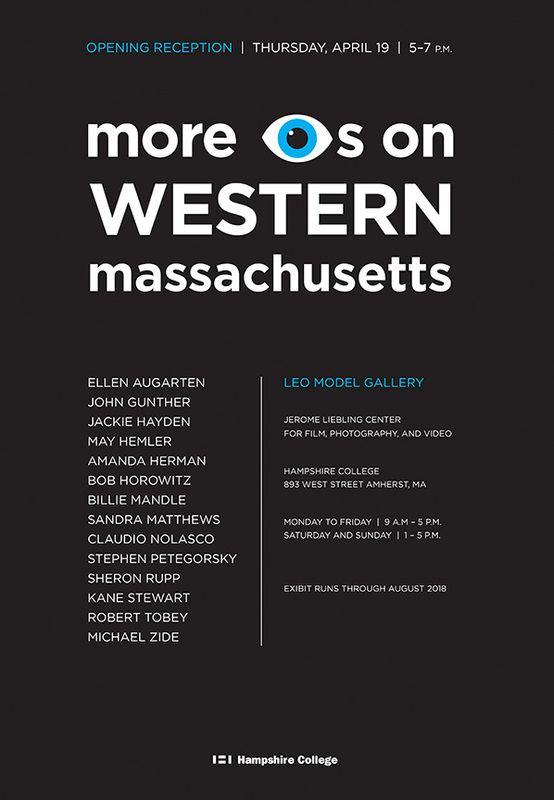 WHAT: "More Eyes on Western Massachusetts"
WHERE: The Leo Model Gallery at the Jerome Liebling Center for Film, Photography, and Video at Hampshire College 893 West St. Amherst, MA. 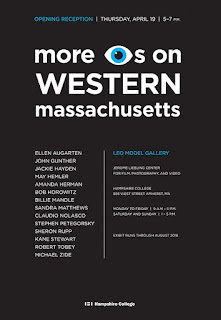 From mid-April through August, the Leo Model Gallery at Hampshire College will host a photography exhibition titled "More Eyes on Western Massachusetts." This show features work from over a dozen local artists. Please join us for the opening on April 19th from 5pm-7pm. The Leo Model Gallery is located within the Jerome Liebling Center for Film, Photography, and Video at Hampshire College 893 West St. Amherst, MA. The Gallery hours are Monday-Friday 9am-5pm, and Saturday-Sunday 1pm-5pm. We are thrilled to welcome back for her second appearance the amazing and hard swinging Boston based jazz vocalist Rebecca Parris. I hope you can join us because she is one of the masters of her craft and a great person as well. WHERE: The Lilly Library, 19 Meadow St, Florence, MA. WHEN: Tuesday, July 10 at 6:00 pm. 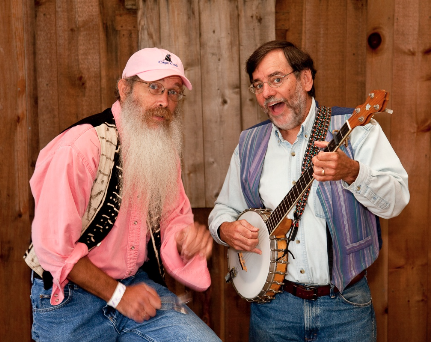 The Lilly Library will celebrate its Summer Reading Program “Libraries Rock!” by presenting Parents’ Choice Award winning performers Davis Bates & Roger Tincknell in a participatory program of songs & stories for all ages. Entitled A Song & Story Celebration, this concert is an exciting journey that celebrates reading, the roots and branches of rock and roll, and cultural diversity. Be prepared to sing, move and dance, especially to the closing song, La Bamba. There will also be a short lesson on how to play the musical spoons and an appearance by a dancing wooden dog named Bingo. Davis Bates and Roger Tincknell have over eight decades of combined experience performing for families, in community settings throughout the Northeast. They are known for their humor, their strong vocal harmonies and for their warm and participatory performing style. 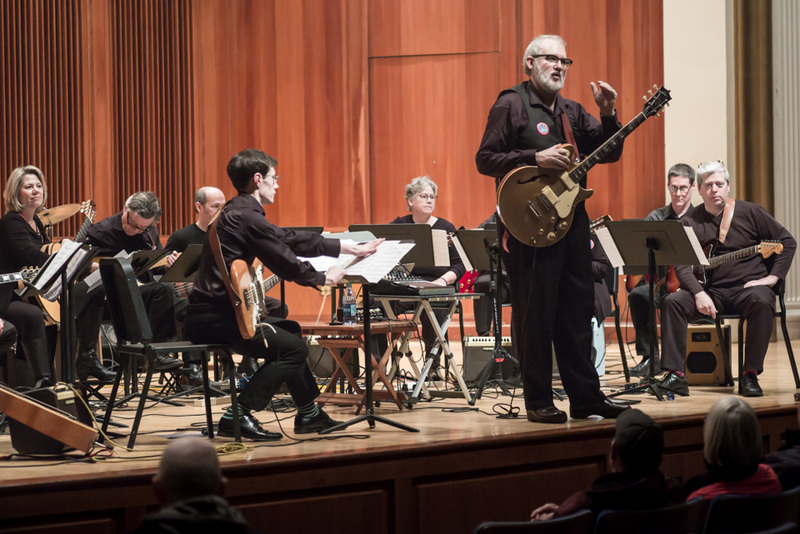 Pete Seeger has called Davis "thoughtful, creative, human, and a fantastic storyteller." His traditional style of telling empowers and encourages audiences of all ages to join in the fun, and to take the stories home with them to share with others. His storytelling cassette, Family Stories, won a Parents Choice Gold Award, and was recently named one of the year’s best audio recording by Booklist magazine. 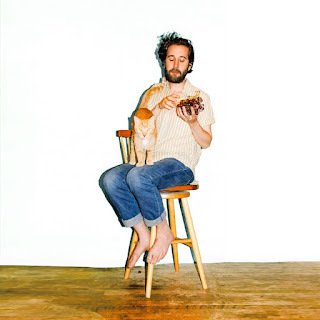 Roger Tincknell is an accomplished musician, singer and song-writer, whose concerts include a wide variety of guitar styles, as well as banjo, mandolin, bazouki, harmonica and piano playing. His repertoire ranges from folk to rock and roll, and often includes some show stopping yodeling. 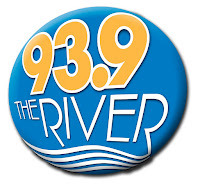 Roger also won Parents Choice honor awards for his album of environmental songs, entitled Earth Rhythms, and his most recent release, Carnivalito. A Song & Story Celebration is appropriate to all ages and will take place at the Lilly Library on Tuesday, July 10 starting at 6:00 pm. This performance is funded, in part, by a grant from the Northampton Arts Council, a local agency supported by the MA Cultural Council. For more information call (413) 587-1500. Be sure celebrate reading at this wonderful family-oriented entertainment event. 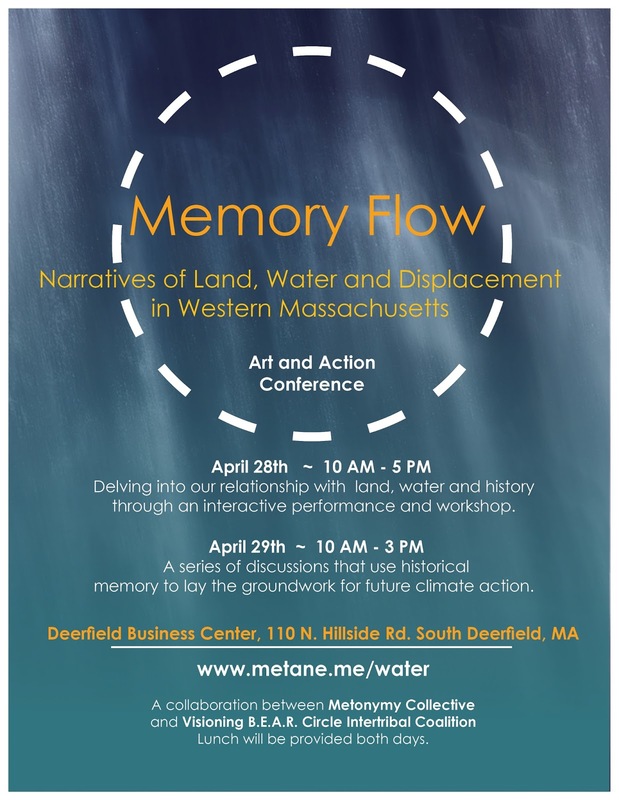 WHAT: "Memory Flow: Narratives of Land, Water and Displacement" conference. 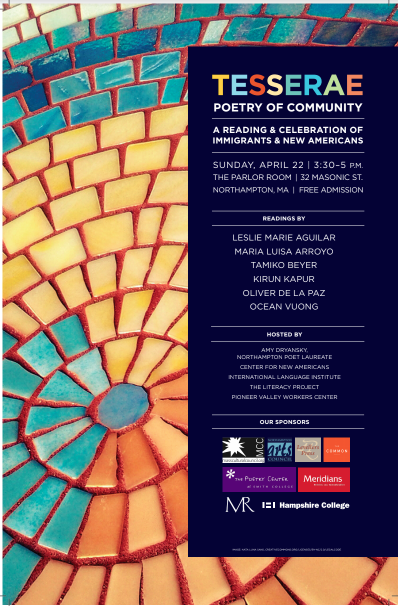 The event is hosted by activist from Visioning B.E.A.R Intertribal Coalition and artist from Metonymy Collective (based in Northampton). We will interweave workshops and artistic performances which explore the history, present and future of land, water and displacement in the Northeast. 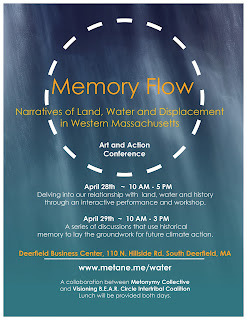 The art exhibitions and performances will specifically focus on the creation of the Quabbin Reservior (the source of Boston's drinking water) and on the memories of displacement, environmental destruction, and indigenous genocide hidden under its surface. At the end of the conference, art and discussion will blend together and lead to a "Land, Water and People Plan of Remembrance and Action." 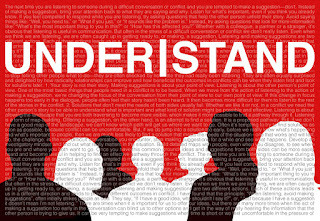 UNDER | STAND is an action dialogue on racism—an opportunity for local communities to connect, reflect, and exchange, using simple forms of motion like walking, listening, tapping, mirroring, and speaking. The project has recently been realized in New York City and Los Angeles, and will next take place in Berlin, Germany. But first it is right here in the Pioneer Valley! 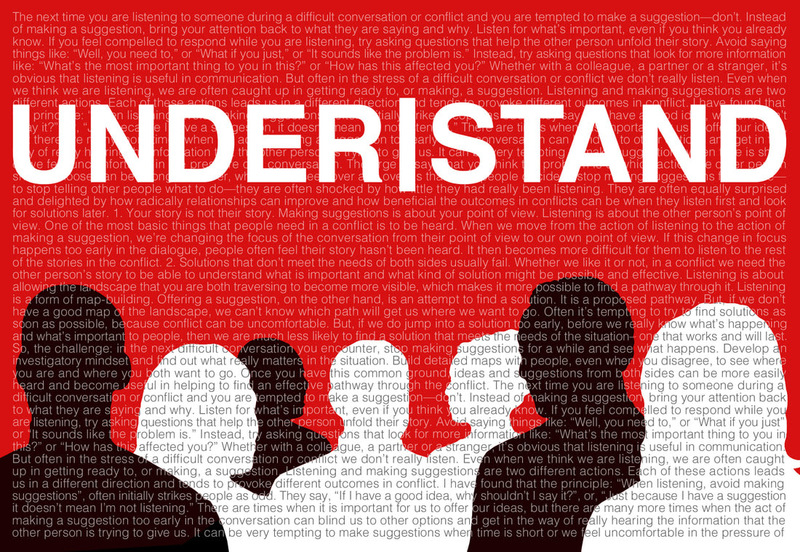 This event is FREE and OPEN TO ALL, and will be followed by shared food and drink and more conversation. We invite you to join our diverse group in bringing this creative project to life by lending your voice, experience, and spirit! Dana Caspersen holds a master’s degree in conflict resolution and mediation and has worked professionally in the fields of dance and theater for forty years. 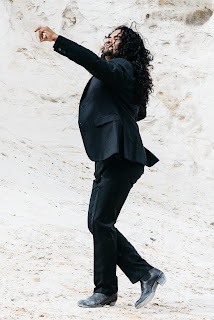 An author and award-winning performing artist, she has toured works worldwide—principally as the primary collaborator of choreographer William Forsythe and as a member of the renowned ensemble Ballet Frankfurt. For the past eight years she has ben developing choreographic public dialogue projects internationally. Join us for a poetry reading with three stellar poets hosted by the Eileen Fisher Store in Northampton, MA. 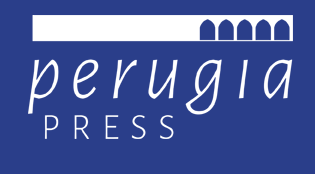 The reading showcases Perugia Press poet Ida Stewart and CavanKerry poets Sarah Sousa & Cindy Veach. This is the local book launch for Sarah's new book: See the Wolf! Don't miss this line-up of incredible voices in a beautiful space. 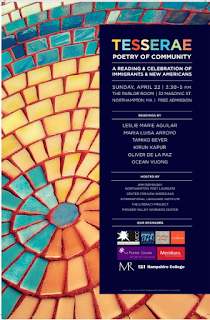 Celebrate Poetry Month with us! WHERE: Northampton High School Auditorium - 380 Elm Street Northampton, MA. In response to and support of the March For Our lives and National Walk Out Day, Northampton High School Theater, Stephen Eldredge, director, in collaboration with Eggtooth Productions and Hilltown Productions present Lauren Gunderson’s play Natural Shocks on Friday, April 20 at 7:00 PM in the auditorium at Northampton High School. Tickets are by donation at the door to benefit Everytown/Moms Demand Action. Written specifically for April 20, the day of the National Walk Out and the 19th anniversary of the mass shooting at Columbine High School, Natural Shocks explores the issues of gun violence and domestic abuse. Based a bit on Shakespeare’s Hamlet - called Natural Shocks follows a woman as she shelters in place during a tornado and wrestles with a dark truth she needs to share. Said Gunderson, “I was a junior in high school when Columbine happened in 1999 and it spurred me into activism instantly. I wrote an op-ed in the Atlanta Journal-Constitution shaming the NRA and their spokesman Charlton Heston, who were holding their annual conference only an hour away from that mourning community. I organized a student protest at the GA statehouse; I went to Washington to speak to my Senators. 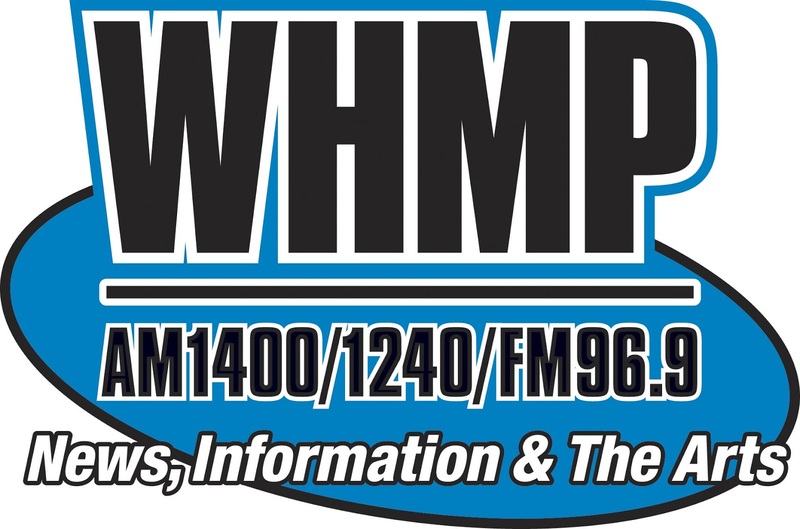 I was berated by our local conservative radio talk shows: called ignorant, naive, and unAmerican. I was 17, a teenager like all those amazing kids in Parkland who are taking up the cause of their lost classmates and making the biggest difference in this issue I've seen in my lifetime. This night will be the 8th Anniversary of the Workshop so we will be remembering our beginnings and bassist Dave Shapiro who was a regular collaborator with Scott as well as a co-founder of the Workshop before his passing. I expect the place to be packed all night long so join us when you can. What : “COMIENZO” - a Flamenco performance featuring world-class artists. have this opportunity to share her artistry and production with the Pioneer Valley community. us to think with our hearts and move with our community. WHERE: A.P.E Ltd. Gallery 126 Main Street Northampton, MA. Come out to hear some amazing a cappella music and support a great cause! 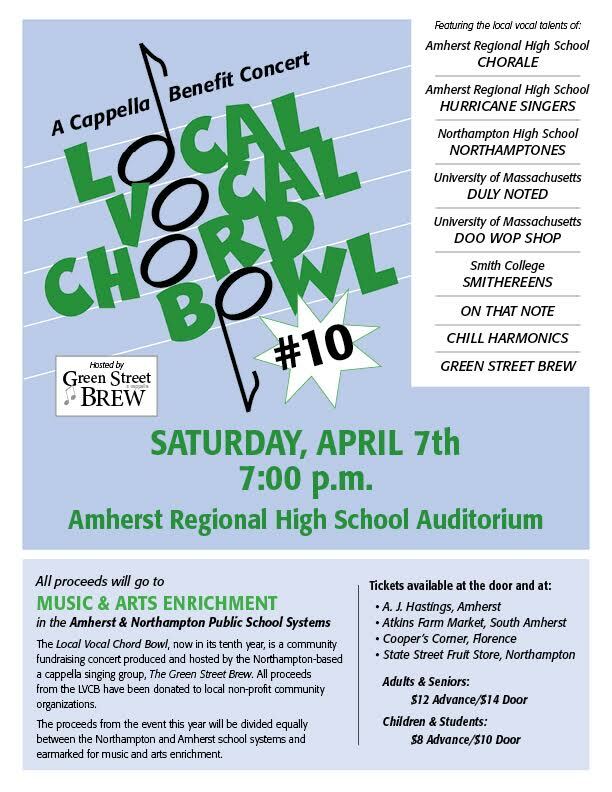 The Local Vocal Chord Bowl, now celebrating its 10th year, is a community fundraiser concert produced by the Green Street Brew featuring contemporary a cappella groups from a variety of age groups. 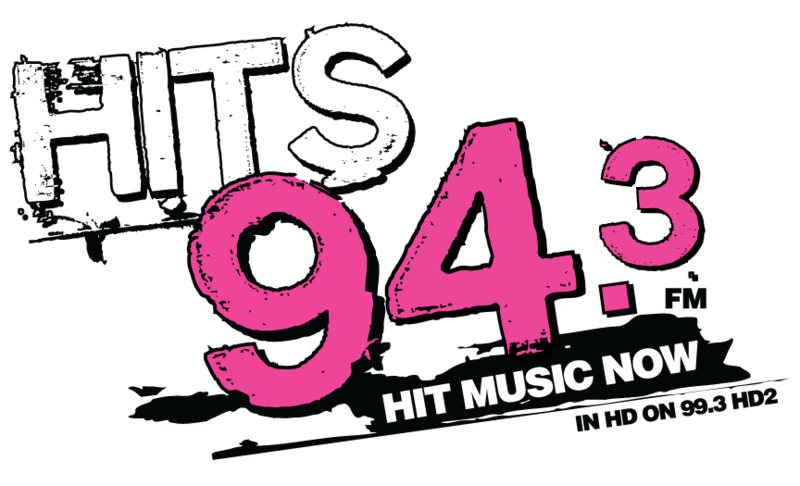 This year, all proceeds will be divided between the music programs at Northampton High School and Amherst Regional High School. 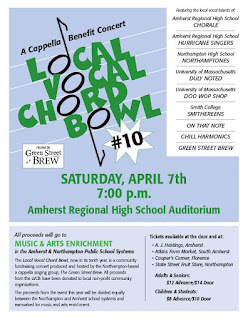 Set for Saturday, April 7th at 7 p.m. in the Amherst Regional High School auditorium, this year’s concert will showcase an exciting mix of high school, college, and adult groups, including the Northamptones, the ARHS Hurricane Singers, the ARHS Chorale, Duly Noted (from UMass), The Doo Wop Shop (from UMass), Chill Harmonics, On That Note and the Green Street Brew. Advance tickets (available at A. J. Hastings and Atkins Farms Country Market in Amherst and Coopers Corner and State Street Fruit Store in Northampton) are $12 general admission, $8 students and children. At the door: $14/$10. WHERE: Forbes Library Hosmer Gallery, 20 West Street Northampton. Nina Compagnon, creator of garments both ethereal and substantial, finds that felting has helped her move through a year of personal challenges. Her studio has served as a sanctuary, enabling her to leave the outside world beyond her door, and become one with the wool. Sally Dillon has evolved artistically from many years as a professional silk painter to the creation of whimsical felted wall hangings. 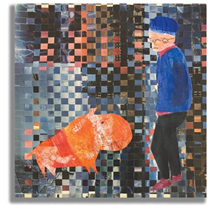 Her piece, “Plenty of Fish” recalls her mother’s reassurances to her during her dating days. Rebecca Fricke is particular interested in how cloth and quilts can be repurposed, and has created a series of “tagged” second hand quilts—cloth graffiti. Reactions to her use of other people’s quilts in this way have range from anger by some observers to her own exhilaration in moving in this artistic direction. Martha May’s tapestry weavings enable her to define with yarn a picture in her mind, as she moves her wool under and over the warp. Martha Robinson quilts wall pieces using batiks, and works with clamped and stitched shibori dyeing techniques in cotton, silk, and, most recently, polyester. Flo Rosenstock, felter and dyer, has also created a series of pieces motivated by her ability to envision the sculptural potential of used packing materials. 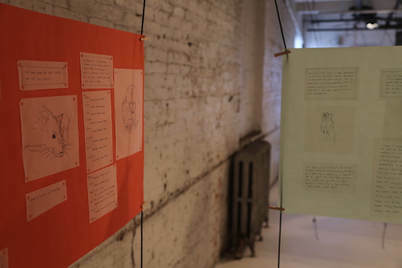 Using them as substrates for paper and fabric compositions has given new life to items that would otherwise be discarded. Margaret Stancer’s work in fiber includes dyeing, wearable art, quilts, and felted vessels. She has also repurposed used blue jeans to create nostalgic pieces reminiscent of various family members’ recollections and symbols. 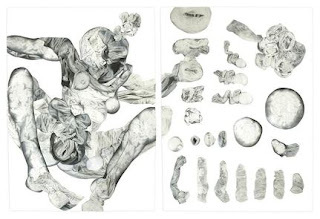 Nancy Young has explored many fiber techniques over the years, currently focusing on surface design and soft sculpture. The common threads running through her pieces are her love of color, texture, and whimsy as she creates using her own hand dyed and printed fabrics as well as commercial fabrics. Reporting to the Executive Committee and Board, the Executive Director is responsible for leading Wesleyan Potters in its primary mission: promoting the learning and development of skills in crafts. Working with the Board and Co-op Members, the Executive Director will establish goals and realize action plans that continue to propel Wesleyan Potters into a secure and dynamic future. The Executive Director has operational responsibility for the organization. The successful candidate will have proven leadership, fundraising, and relationship-management experience. Interest in Arts and Education is preferable. One of the longest continuously running arts organizations in Connecticut, Wesleyan Potters is a nonprofit craft school and cooperative with close to 100 members. Co-op members are required to participate in the management and staffing of the organization, which is comprised of Weaving, Jewelry, and Pottery Studios, a Craft School, Gallery, and Annual Sale. Classes in all areas are typically fully enrolled with close to 1,000 students participating in 75 classes each year. Wesleyan Potters employees include one full-time position and six part-time positions. Budget management skills, including budget preparation, analysis, decision-making and reporting. Salaried: $30,000–40,000/year commensurate with experience and qualifications. The criteria for choosing participants will be a diversity of readers and poems. Poetry Center faculty and students will review the responses, and choose 10-12 readers for the event. 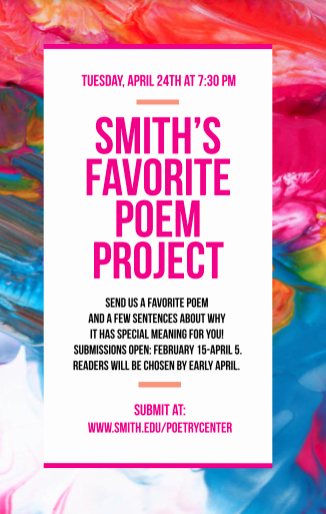 Poems should be geared towards a five minute presentation, comprised of reading the poem, and informally speaking about your connection to it. (You don't have to be a poet to submit--in fact, we're looking for a poem by someone else that inspires you.) Translations from other languages are encouraged. If the poem happens to be longer than the five minute range, it would be best for you to select a particularly meaningful excerpt. WHERE: City Sports Grille at Spare Time Northampton, 525 Pleasant St., Northampton. 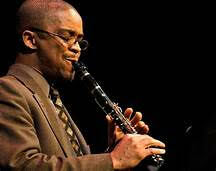 This week we are presenting for the first time clarinetist and educator Darryl Harper. Originally from Philadelphia and currently the chair of the music department at Virginia Commonwealth University in Richmond. Darryl is just finishing a year here as guest faculty at Amherst College. https://darrylharperjazz.com/ . "I am personally excited about playing with Darryl because it turns out he and I have worked with many of the same musicians from Philadelphia. While living in Philly I was the house pianist for a weekly session at the 23rd Street Cafe and used to sit in at another great session at a club called Ortlieb's. I think those experiences had a hand in motivating me to start this series. I hope you can join us and stick around for the jam session and also, please join us on April 10th to remember Scott Mullett and celebrate our 8th anniversary." 4/10 - A Celebration of the life of Scott Mullett featuring Draa Hobbs on guitar and many, many others. This will also be the Workshops 8th anniversary celebration. WHEN: Sunday, May 6, 2018, 3 p.m.
Gain insight into the music and the performances by attending the lively Concert Conversations with the musicians and VCC Artistic Director John Montanari, in Sweeney Concert Hall, (handicap accessible), at no additional charge, one hour in advance of each concert. 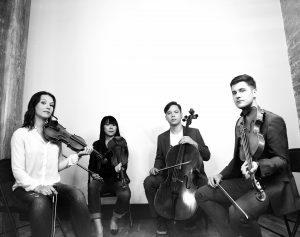 Valley Classical Concerts presents this opportunity as part of its mission to enhance our audience’s understanding and enjoyment of the music.